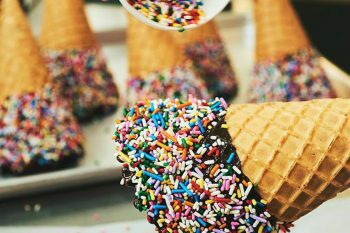 A Fisherman’s Wharf Tradition. 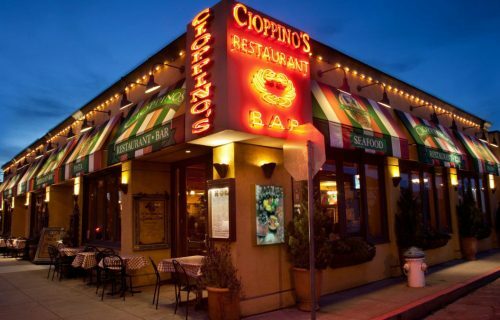 Enjoy the sunny terrace and delicious food at Cioppino’s Restaurant on San Francisco’s Fisherman’s Wharf. 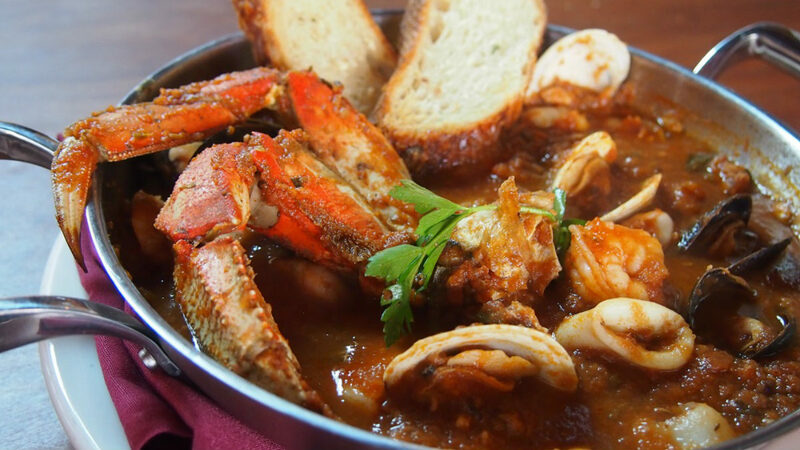 The house specialty is Cioppino, a bountiful seafood stew invented in San Francisco. 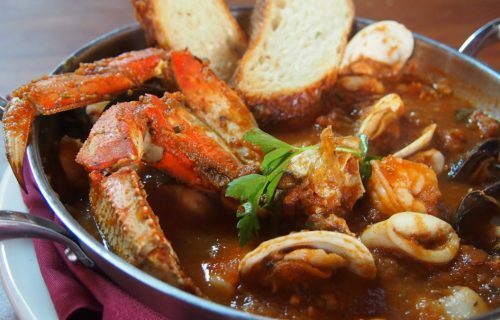 It’s made with fresh Dungeness Crab and other local catch simmered in a rich tomato-based broth, all seasoned with a special blend of spices and just the right amount of garlic. 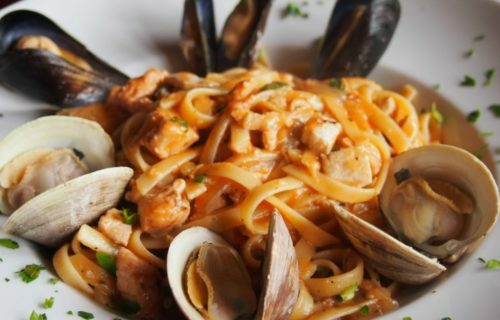 Or choose from the vast menu of seafood, pastas and pizzas. At the bar, try the housemade red Sangria or a Wharf Bloody Mary topped with a juicy Jumbo Prawn. 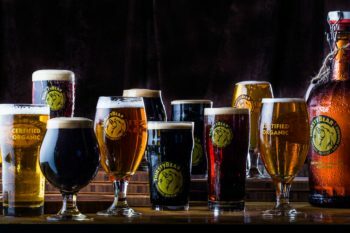 Or explore the wine and beer list featuring popular Northern California Wines and Local Craft Beers. 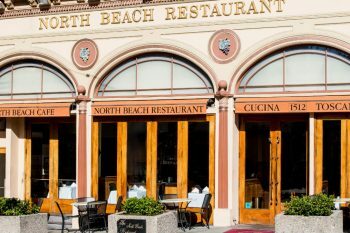 The restaurant opened in 1997 on Jefferson Street across from The Cannery building and is family-run by 5th Generation native San Franciscans. 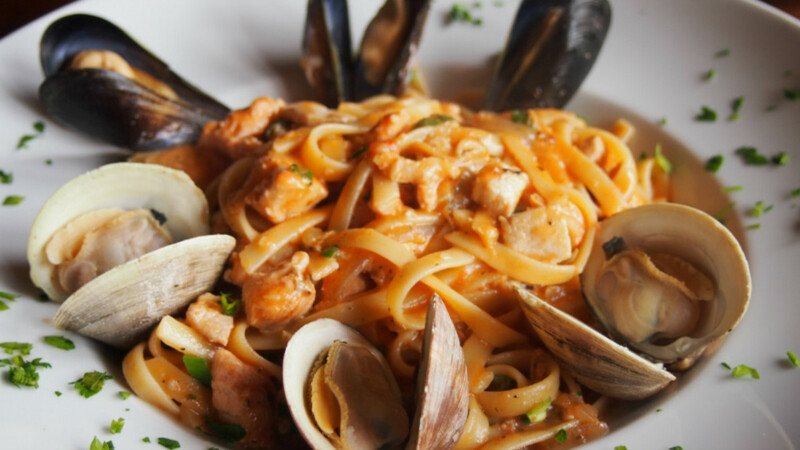 Cioppino’s warm and friendly atmosphere and classic seafood and Italian fare make it a must-visit dining destination when visiting San Francisco’s Fisherman’s Wharf. 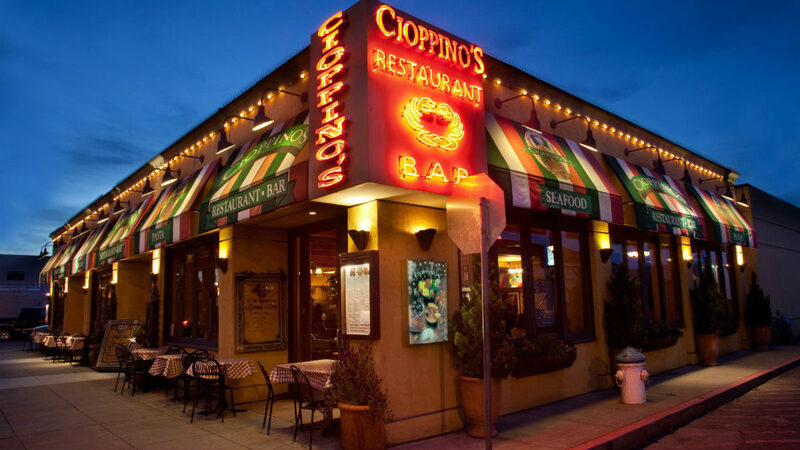 FREE Cup of Clam Chowder with Purchase of Any Entrée at Cioppino's Seafood Restaurant!